By Linda Freeman. Originally published by The Poughkeepsie Journal in its Living & Being Guide to Wellness, Alternative Medicine section, in May 2012. You may have noticed the ad in this magazine for SearchLight Medical, offering a holistic medical practice that includes Reiki, medical acupuncture and Mei Zen Cosmetic Acupuncture. Each month, I saw it and wondered: What exactly is medical acupuncture? And what is cosmetic acupuncture? I contacted SearchLight to find out. As it turns out, medical acupuncture is acupuncture performed by a medical doctor. Dr. Laurie Mallis is a licensed medical physician, board certified in internal medicine and geriatrics, and a certified medical director of the American Medical Directors Association and diplomate of the American Board of Hospice and Palliative Medicine. She spent her ca- reer in hospitals and nursing homes, mostly in sub-acute care. After prac- ticing traditional Western medicine for years, Mallis became increasingly frustrated. “I felt there must be a better way,” she tells me in her Hopewell Junction office. “So I began to search outside traditional medicine to include Eastern philosophies like Reiki and acupuncture.” Always a scientist at heart, she looked for practices with provable results and is accredited through the Medical Acupuncture for Physicians, Helms Medical Institute, Berkeley, Calif. She is also a Reiki master through the Usui Method of Natural Healing. So, after more than 25 years in Western medicine, Mallis decided to take a leap of faith and move her practice entirely over to the alternative methods she was finding most useful to her patients. She founded SearchLight Medical in 2010 and says she hasn’t written a prescription since. Session No. 1: I’ve just spent the last few days dealing with Hospice for my mom, driving to the Poconos to be with my dad — who had a bad cold and was spewing germs all over me — and driving back to teach the same day. By the time I arrive for my appointment, I am physically and emotionally drained. Mallis immediately notes my sluggishness and asks me to stick out my tongue. But she doesn’t instruct me to say, “Ahh!” Instead, she notes the texture, color, coating of the tongue itself, which in Chinese medicine is a diagnostic tool. She then asks me a series of questions, not just standard medical history. She asks about the health of my parents when I was born, which she says establishes my original chi (life force or energy flow) that I have apparently depleted over the years. Although I have never thought of myself as a sickly person, as I recount my hospitalizations and surgeries I realize the extent to which my body has been compromised. Then she asks me questions with multiple choice answers such as, “If I walked into a room, which of the following colors would it be?” I answer, “purple,” which is the truth, although not one of the given choices. Indicating, I suppose, my nonconformist tendencies. She asks if I’ve ever suffered from depression. I’ve felt depressed, but I don’t think of myself as suffering from depression. Yet my body and being don’t always seem connected, like my vital energy is drained. She nods and says she can see the evidence on my tongue. Armed with my history, she leads me down the hall to the treatment room for my first medical acupuncture session. I lie down fully clothed on a massage table and she takes my “pulses” on each arm. I question the plural, and she explains that she is actually monitoring six pulse points in each wrist, which correspond to my internal organs. She takes out packages of needles (new for each patient) and warns that they should ache as they hit the chi. She says the ache means the chi has grabbed hold of the needle and is activating and moving the energy. After each insertion, she asks if it aches. I am having a hard time deciphering between ache and ouch. Some of the needles feel more like sting or pinch than ache, and some I don’t feel at all. She says some of my energy is flowing and some is blocked. Indeed, as her hand hovers a few inches over my torso, she says she can feel that my upper and lower half are not communicating. She presses down, asks where it is painful and inserts the needles there. She leaves me to rest. When she returns 20 minutes later to remove the needles, one point in my ear bleeds. She says she is not surprised: that point is where emotions are stored. After the session I feel more connected with myself, more solid inside my skin. Session No. 2: Eight days later, I arrive feeling good. Whether or not the previous session built up my immunity is hard to say, but I can say I had been sure I would catch my dad’s cold and I did not. But when Mallis starts needling it hurts, every one going in is a sharp pinch. She says it’s the chi, and that it should feel achy, but I say it feels more than achy. One, in particular, feels like she has stabbed me in the back with a knitting needle. I yelp and she removes and repositions it. She says these are the same spots she needled last time but I feel it so much more now. She says sometimes it’s hormones and sometimes it’s just more sensitivity on certain days, but she is pleased overall. She even likes the large red dots that appear immediately around the needle points. Then she adds electric stimulation — like little jumper cables attached to various needles. Some I instantly feel pulsating and others I don’t for awhile. She says I should think of the meridians as the avenues and streets of New York. Ideally they should all flow together in a way that makes sense, but sometimes traffic and construction cause blockages. Her job is to relieve those blockages and restore flow. She adds a needle in my ear for emotional balance. Afterward, I feel tingling inside for a good 20 minutes. Even later that night I feel currents of energy throughout my body, as if the electric stimulation was still going. Session No. 3: Despite wanting to test my immunity using acupuncture alone, I had opted for a flu shot as Mallis advised. I suppose she is too grounded in medical science not to and believes her work is complementary to — rather than a substitute for — advised medical practices. Always eager to knock off my to-do list most efficiently, I got the flu shot while waiting for my dermatologist, who was running late in his appointments. Unfortunately, this means I don’t know whether it’s the flu shot or the cortisone shot the doctor gave me that kept me up all night with severe back spasms. Despite a massage the next day and many Epsom salt soaks, by the time I get to Mallis four days later, my back is completely bound up. Since I am in crisis, she alters her treatment plan from immunity building to acute pain relief. She says the doctor unknowingly gave me the cortisone shot in a major meridian point. Because she uses electric stimulation on the inserted needles, it allows me to feel the pulsing vibration deep inside my back. For 20 minutes the current tap dances inside and across my back and neck and I revel in relief, which lasts for a couple of days. But my life demands include a performance at West Point and dance classes. Ideally, I should have returned to her before the pain returned to me, but by the time of my next appointment six days later, my acute condition has become chronc. My neck and back feel tight as a rock. Mallis again applies the electric stimulation, and I again love the soothing karate chop feeling pounding across my back. Unfortunately, both Mallis and I have heavy travel schedules — including a six-hour drive to a dance weekend for me, which only exacerbates my condition — and must terminate our sessions before I am completely healed. It takes about a month for my back to return to normal. 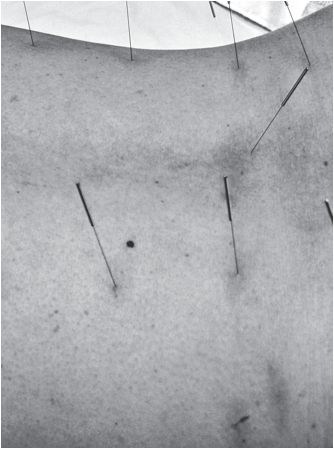 Bottom line: Mallis stresses that acupuncture is not a quick fix, especially in the case of chronic conditions, which can take months to alleviate. 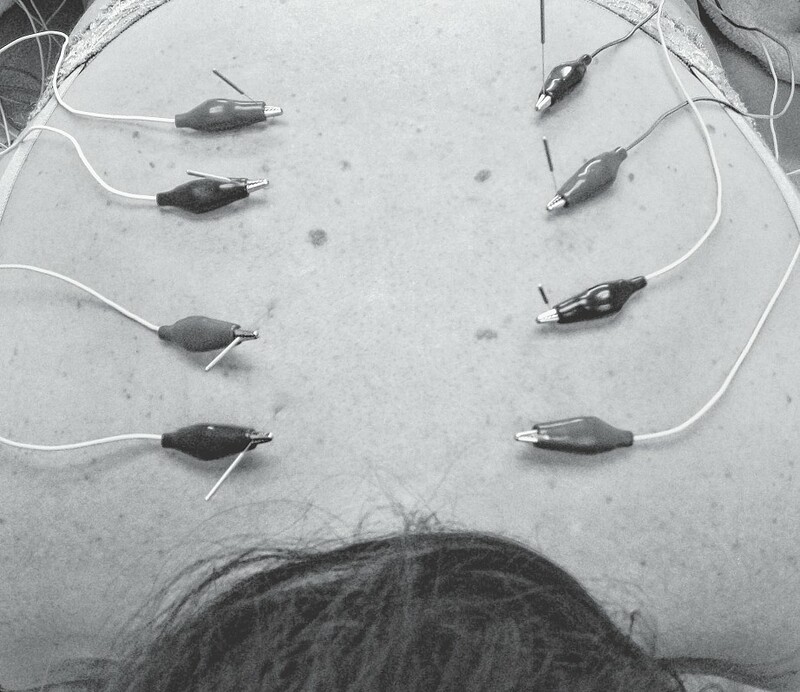 With my back, I had an acute situation layered on a chronic one and ongoing sessions would have allowed the acupuncture to work at a deeper level each time — “Like peeling an onion,” Mallis says. Depending on your condition, consistency and treating flair-ups immediately is important. Conditions may include chronic issues such as arthritis, neuropathies, back injuries, infertility, or you may simply desire to maintain good health. Mallis says she typically may see someone twice a week and then stretch the appointments out to an ultimate goal of only once with each seasonal change, like a booster shot. She says if you come in within 24-48 hours of when you feel you are getting a cold, you can knock it out as you build your own body defenses to fight it. Indeed, besides being exposed to my father’s less than hygienic hacking, I also accidentally drank from the water bottle of a dancer friend who then admitted he was really sick with a fever and shouldn’t even be out. Again I didn’t get sick. Despite my abridged medical acupuncture sessions, they primed me for being in optimal health for my next experience: Cosmetic acupuncture. Look for that story in the July issue of Living and Being. The Holistic Guinea Pig is a monthly experiential look at holistic practices in the Hudson Valley. If you have a holistic practice or therapy you would like Linda Freeman to experience and report on, contact her at holisticguineapig@gmail.com.